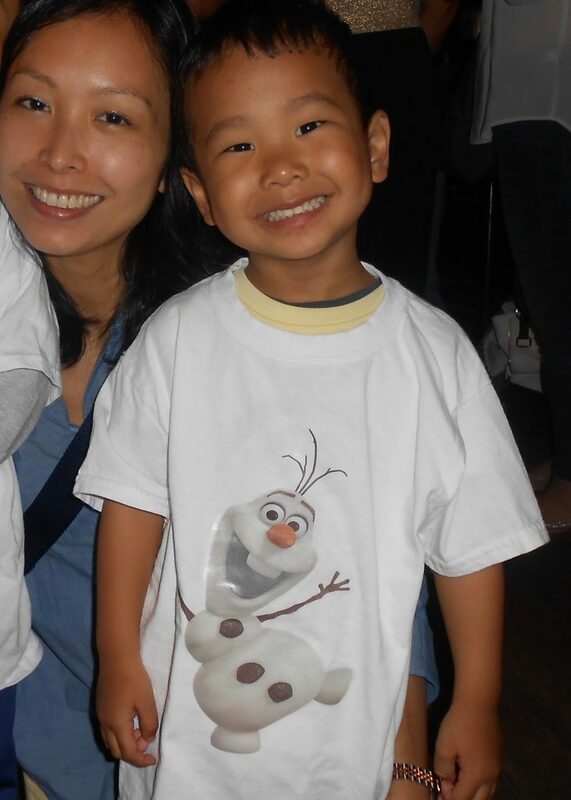 Just in time for Frozen to hit Broadway! (B. Lee cannot wait for our preview on March 4th!) 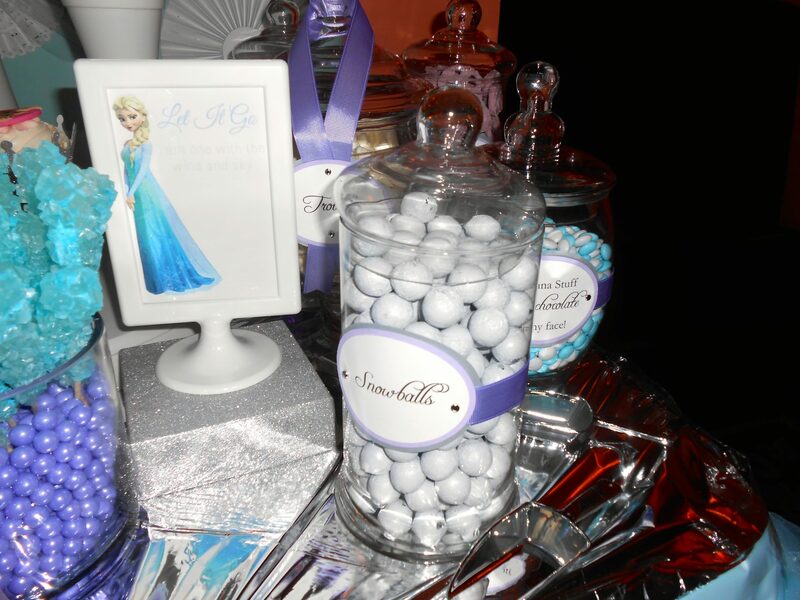 We had an incredible time styling this lavish six year-old Frozen themed birthday party. Our guest of honor was so enamored with the characters from this movie that we incorporated details into every aspect of the party. 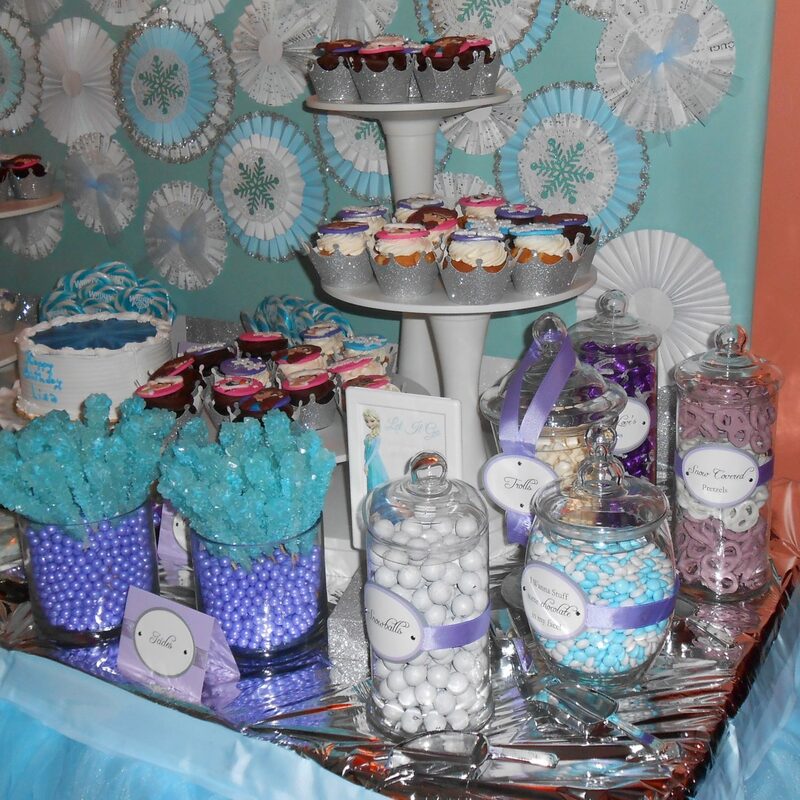 Partygoers were treated to a true Winter Wonderland, complete with a true to life musical experience, their very own ice house photo opportunity and a delicious and beautiful dessert display. 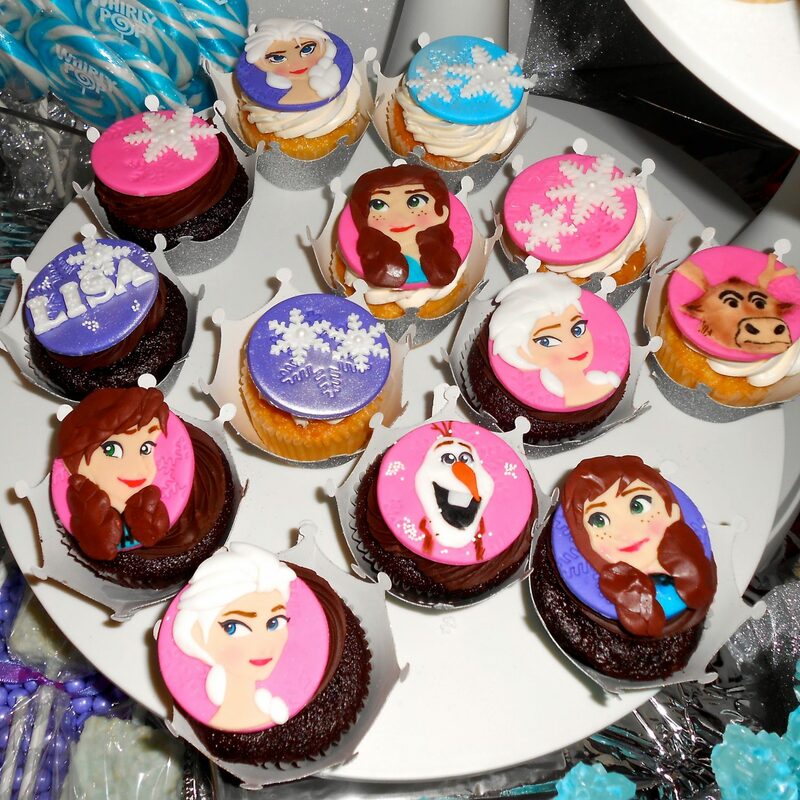 From the décor to the favors to the food, our guests were transported to Elsa’s Ice Castle! 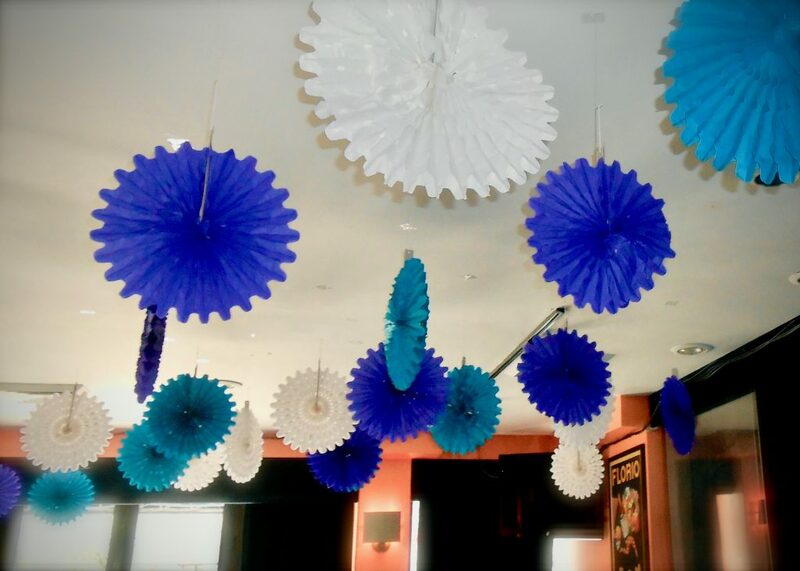 This event required a venue with a unique layout that would cater to our multi-tiered party. We were so happy to find Session 73, a restaurant that showcases musical talent. 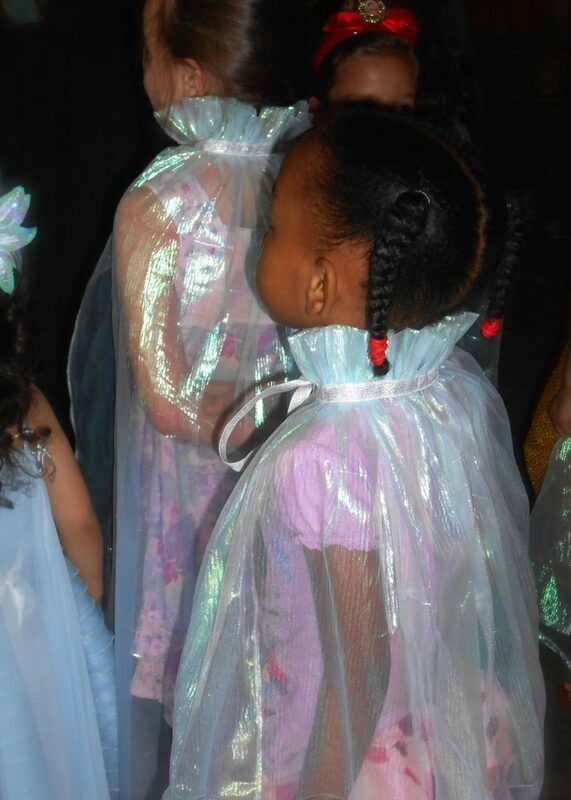 The dynamic space enabled us to have different aspects of the party running at the same time – there were separate areas to eat, to play and to enjoy entertainment. 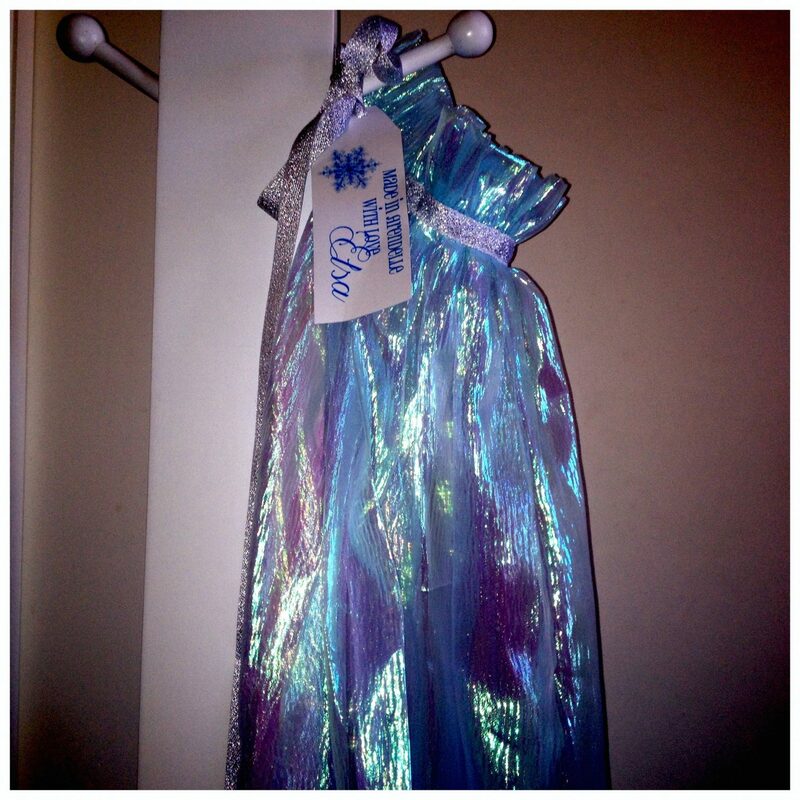 To capture the feeling of Frozen, décor was key. 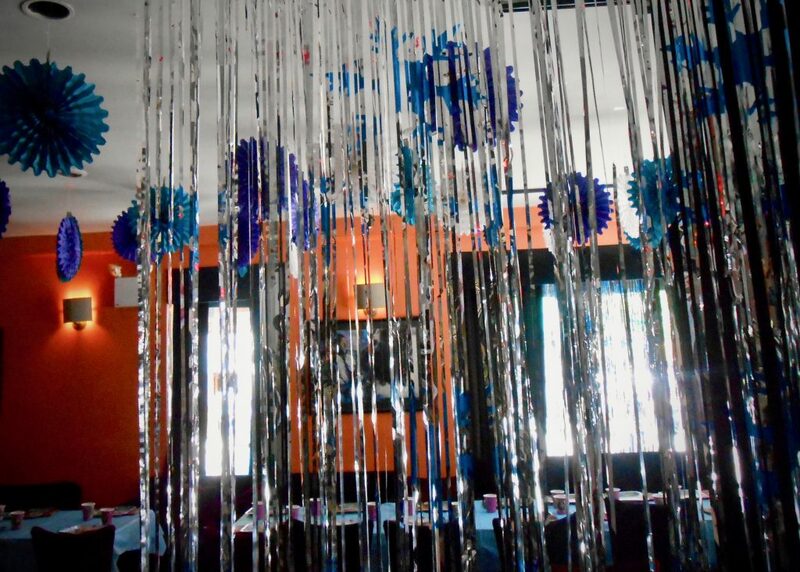 The entire 2,000 square foot venue was adorned with light blue, white and purple paper fans and glitter curtains evoking icicles from Oriental Trading. 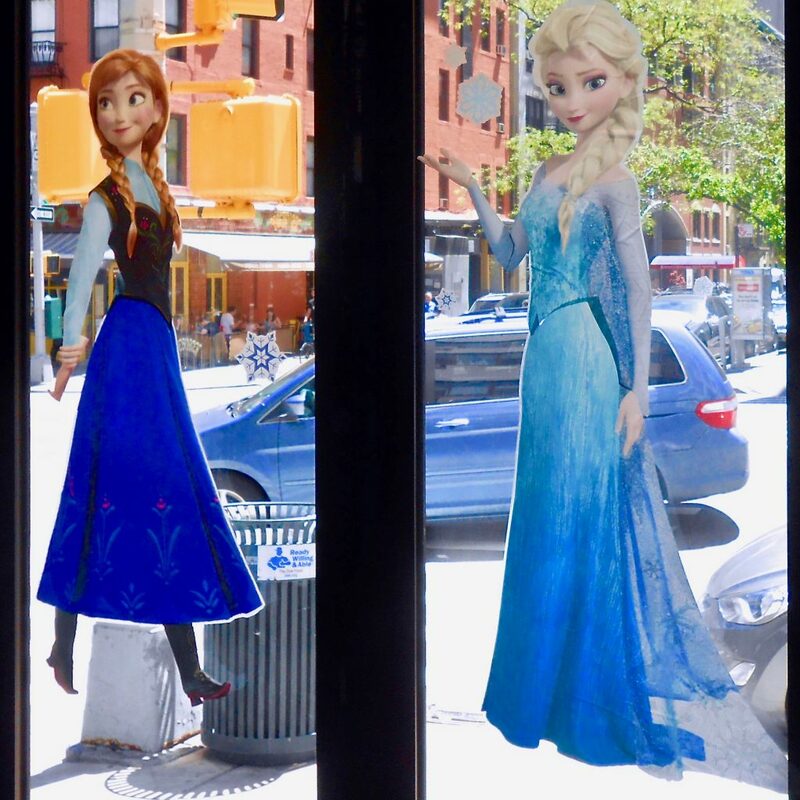 Every window was covered with Ana and Elsa decals along with beautiful vinyl snowflakes from Vinyltastic Wall Decals. 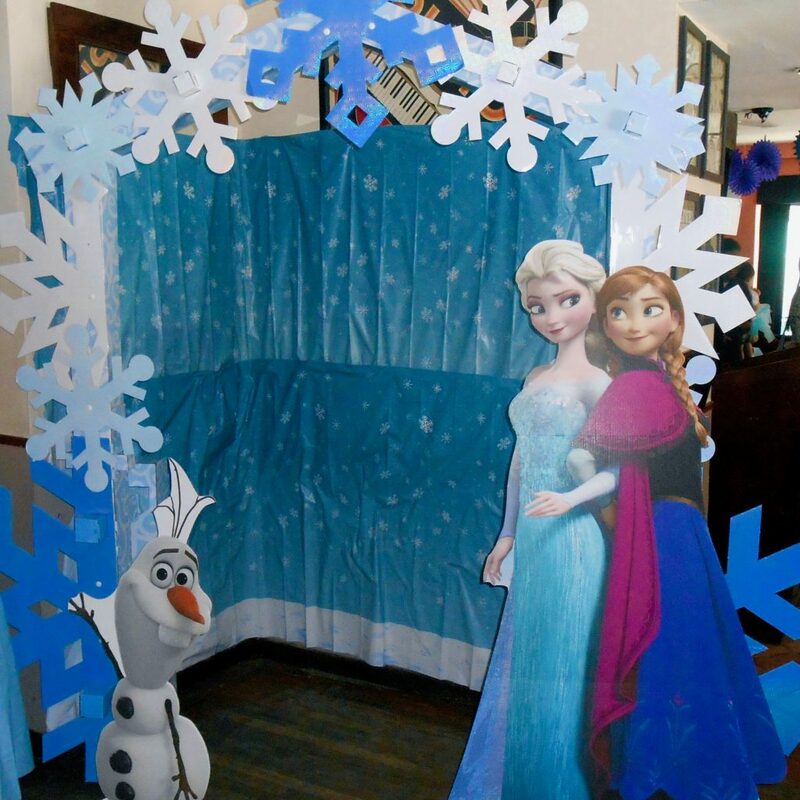 We wanted to provide posed photo opportunities for our little guests, so we constructed an ice house set in a Winter Wonderland, complete with Elsa, Ana and Olaf cut outs. 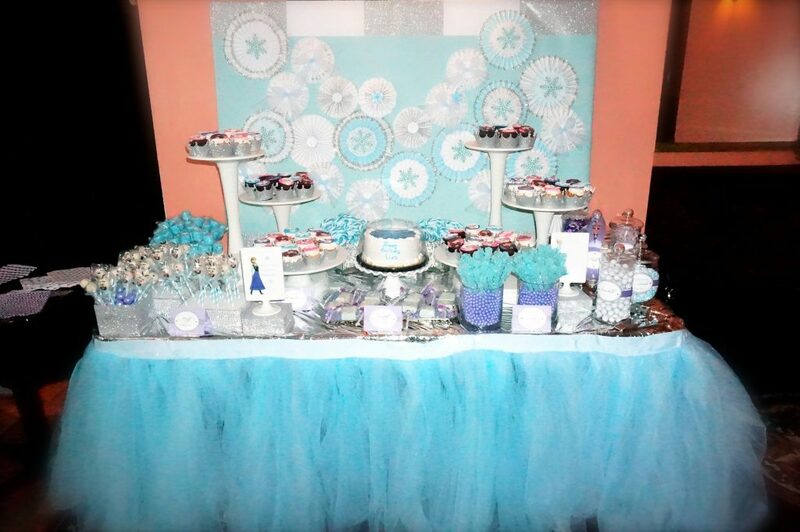 We added more sparkle and shine with a decadent dessert table for children and adults to enjoy. We worked with several amazing Etsy artisans to add unique details to each dessert. 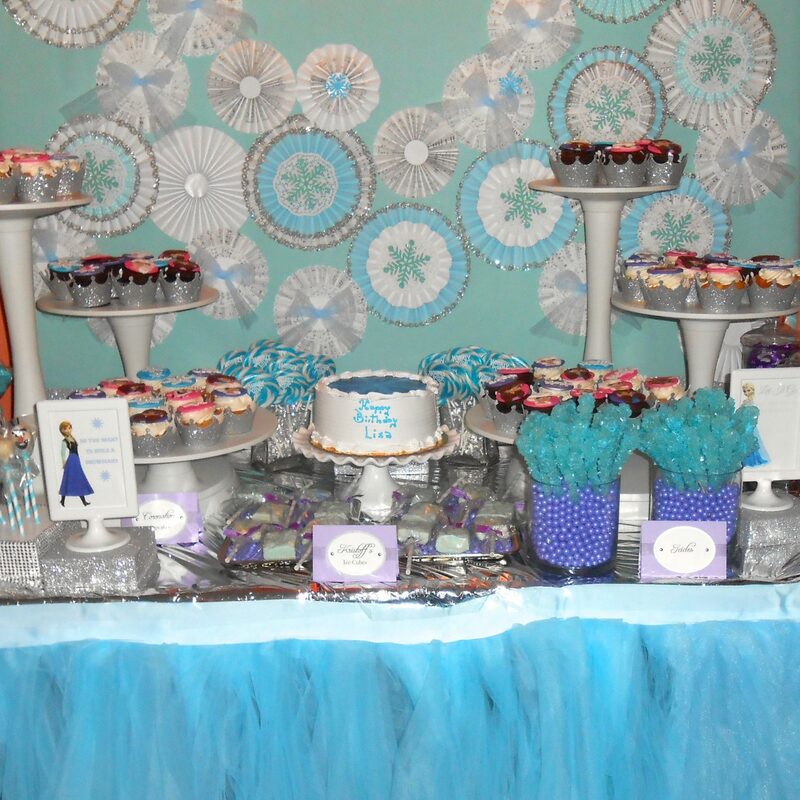 The stunning custom backdrop was created with beautiful, handmade Frozen themed paper rosettes by Quilted Cupcake. 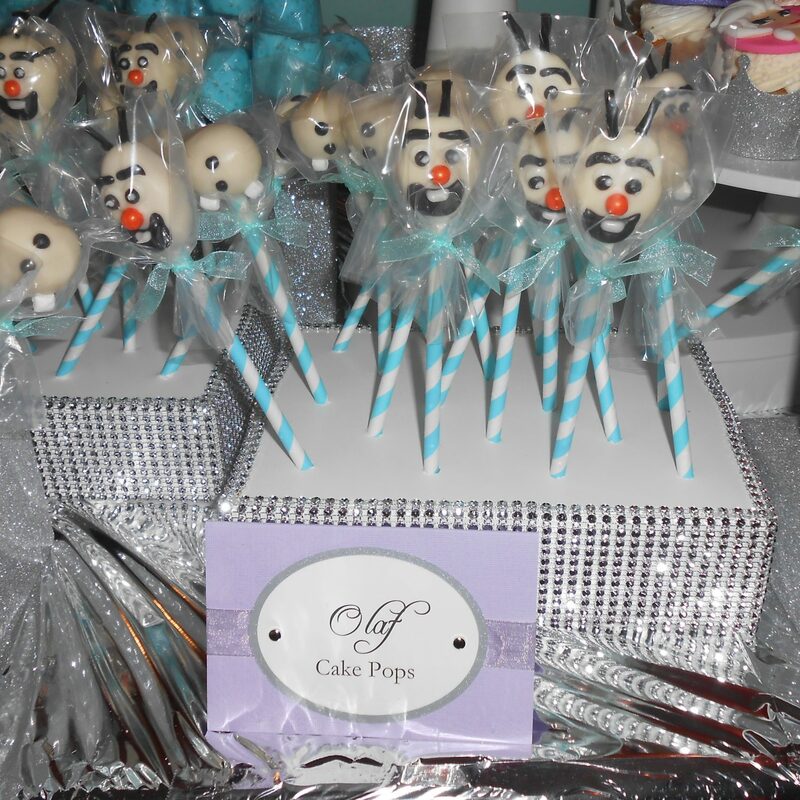 Delicious Olaf Cake Pops, Snow (marshmallow) Pops and Custom “Ice Cube” Rice Krispie Pops were prominently displayed on custom rhinestone cake pop stands from A Princess Practically. 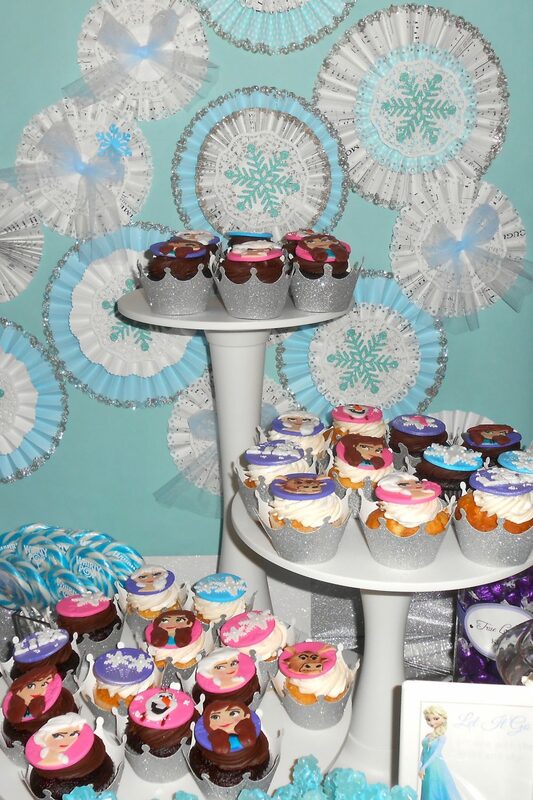 Frozen “Coronation Cupcakes” with silver glitter crown cupcake wrappers from Worthy Party and fondant Ana and Elsa toppers from DsCustom Toppers added more decadence to our display. 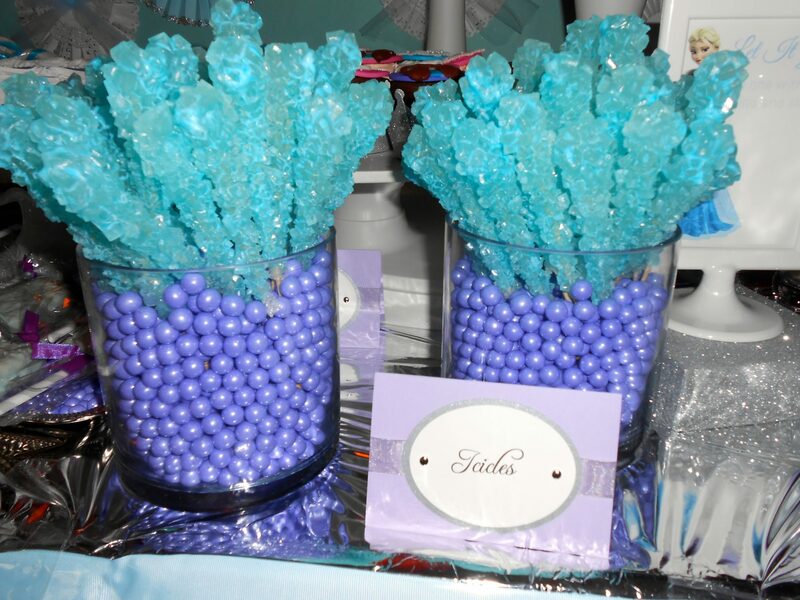 We incorporated candy treats in an array of lavender, white and light blue to reflect the Frozen theme from Oh Nuts!. 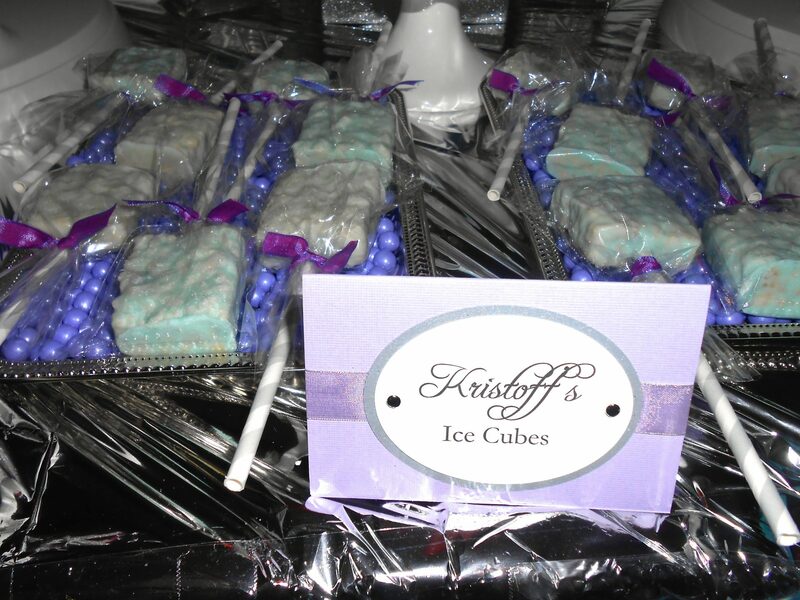 Beautiful, handmade food tents with clever and unique labels from Custom Event Creations tied the theme together. 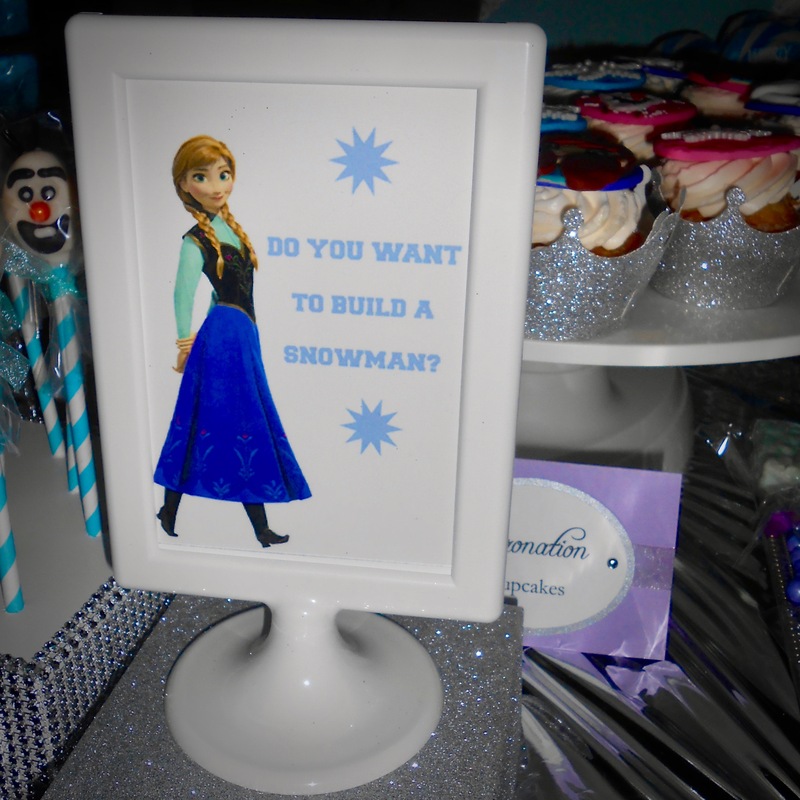 We also added a sweet detail of movie quotes displayed in small party frames from The Glitter Shoppe. Another showstopper was the entertainment for this party. Parents and children were entertained by an interactive performance with an amazing Frozen sing-a-long by Applause New York. 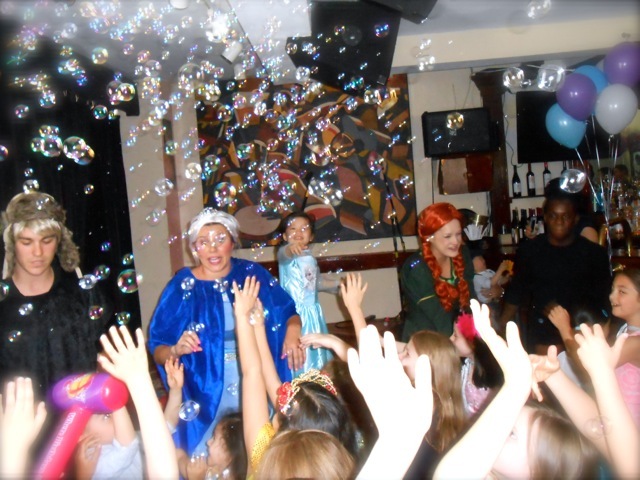 Everyone enjoyed a chance to really “Let it Go” with dancing, singing and bubbles. 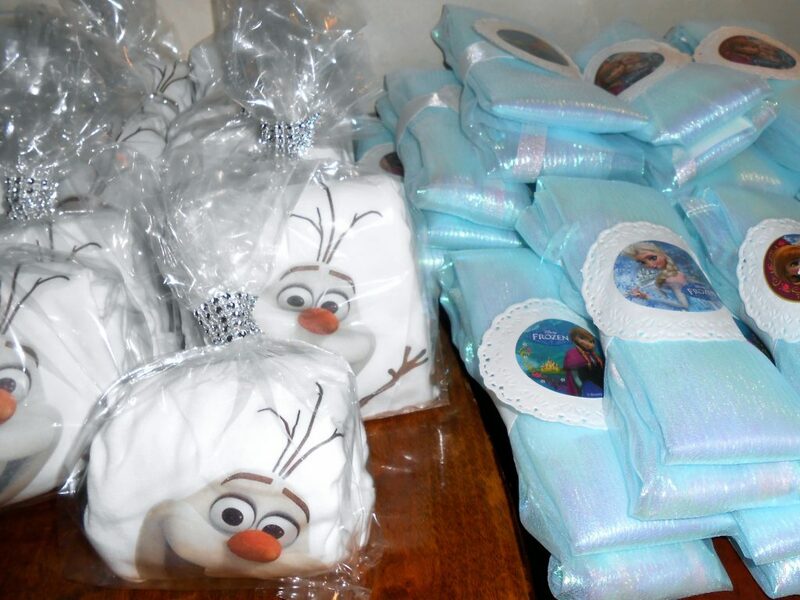 After the last musical note was sung and dessert devoured, our little ones left the party with beautiful custom Elsa Capes from 4SweetK and t-shirts with an Olaf iron-on decal from Designs by Brinley.